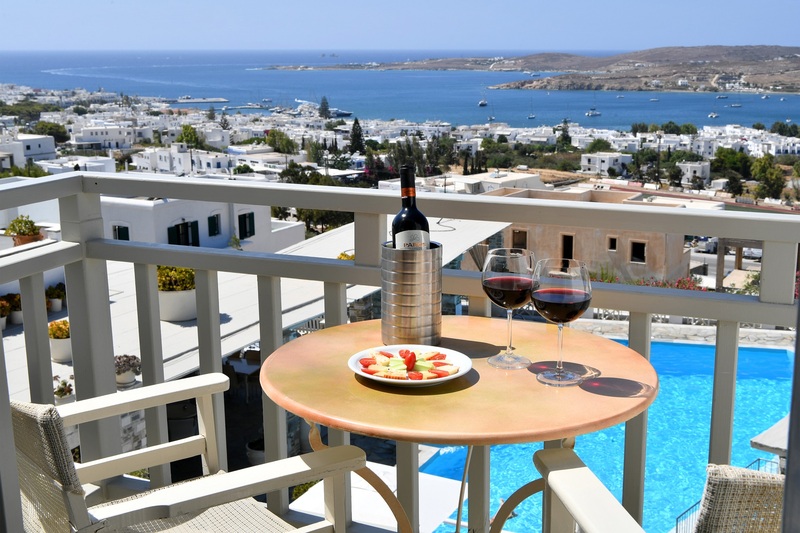 Relax your body and soul in our Paros hotel. The stunning view from Sunset View Hotel will contribute to your vacation. 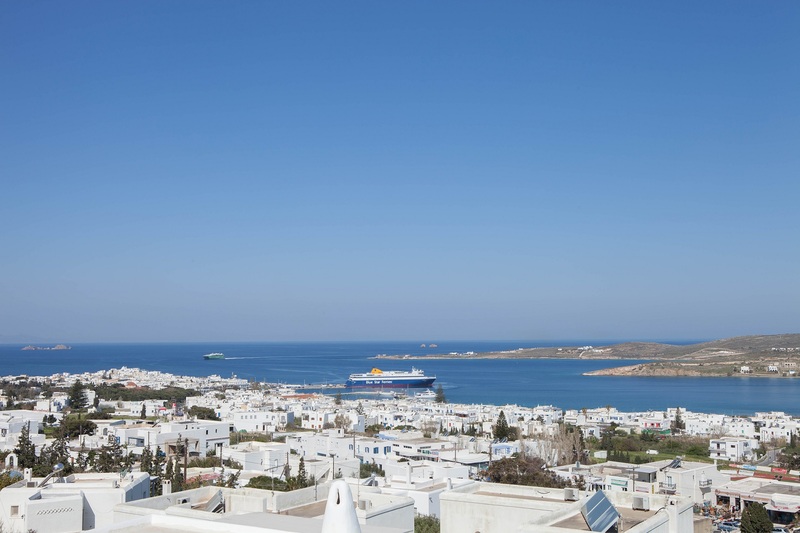 Admire more than 180 degrees of the north-west side of Paros without any obstacles. Parikia, the capital of our island is at your feet, while you enjoying the limitless sight. 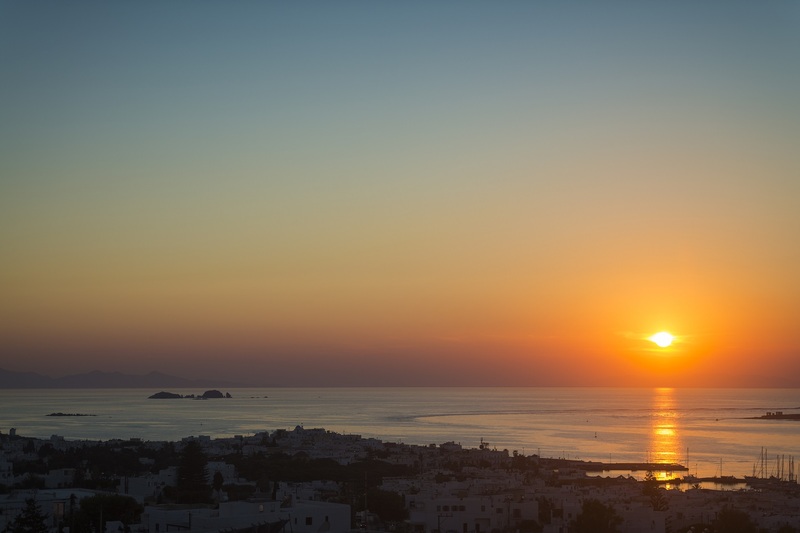 During days with good visibility, you will see as far as Serifos and Sifnos, two islands west of Paros. The scenery of panoramic view of Parikia Bay is enriched by “Portes”. Those are the two rocks in the sea, which you probably saw in many pictures of Paros. The true work of art comes little bit later during the sunset. This is a sight that you will remember for a long time. A display with many colours of the sky, imposes many pictures for your gallery.